The Ferber Ranch Preserve is a 396-acre parcel located northwest of the City of Rancho Santa Margarita in Trabuco Canyon. 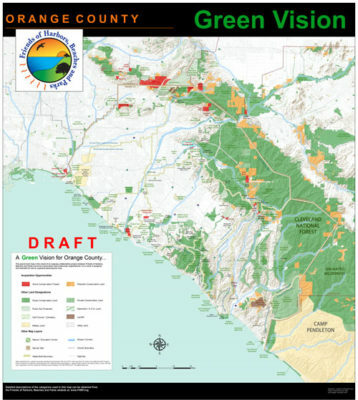 It’s bordered by the Cleveland National Forest to the north and Trabuco Creek to the south, while Hickey Creek drains the western side. The Preserve features rolling terrain with elevations ranging from 1,120 to 1,650 feet above mean sea level.